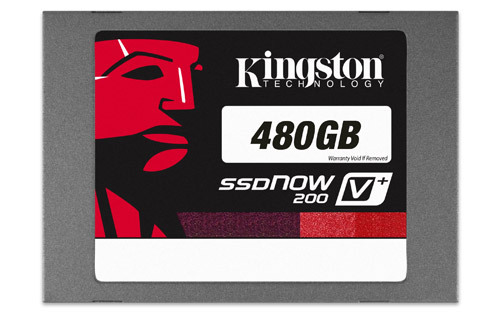 American manufacturer Kingston Technology is no stranger to the SSD arena with its vast lineup of SSDNow drives for consumer-level performance at more affordable prices. Kingston this week released its latest SSD drive targeted at the business sector. Called the SSDNow V+200, the SATA III drive utilizes the increasingly common SandForce SF-2281 controller with up to 535MB/sec sequential read speeds (or 280MB/sec if limited to a SATA II interface). This read speed is compared to other SATA III SSDs such as the Patriot Pyro (550MB/sec), Corsair Force Series 3 (550MB/sec) and Kingston’s own enthusiast-level HyperX drive (525MB/sec). Of course, the business-oriented V+200 includes a host of security features for that extra-sensitive data. The self-encrypting drive ships with Data Integrity Protection, DuraClass for increased reliability and DuraWrite for more optimized writing endurance. The SSDNow V+200 is currently available for as low as $140 (60GB) or as high as $970 (480GB), depending on capacity. Unfortunately, attempting to purchase the drive from Kingston’s official website currently results in errors. Regardless, each unit is guaranteed a three-year standard warranty. Check out the full spec list over at the product page here.